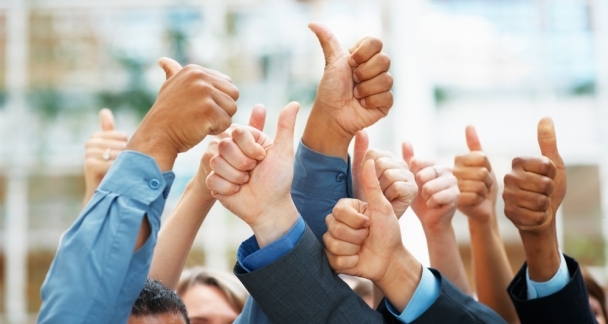 BLOG HOME » Blog» WHAT MAKES A COMPANY GREAT? A Clearly Defined Culture 'This is the way we do things around here.’ Great companies have vibrant, exacting cultures. And the culture informs everything: their products, their communication, the feel of the place. Inevitably, a pride develops among employees who find it rewarding to be part of an organization that has congruency between what they say they stand for and what they actually stand for -- and customers come to count on it. A Strategy that is Clear and Understood By All The strategic direction and business model are clear and compelling -- and every person in the organization understands it and can repeat it back to you. Organizational decisions at every level become easier to make because priorities are understood. Leaders who are "All In" The leadership sets the tone for the organization, providing a role model that is consistent with the culture. Nothing is more damaging and painful to endure than a leader who behaves counter to the values and the culture. Alignment Everything throughout the organization lines up in accordance with the culture and the company values -- who gets hired, how they are compensated and the language that is used. If you are exploring a job and the hiring manager uses the term 'subordinates' -- run!! Profitable We’ve met some great leaders who are driven by a compelling purpose, but if you dig a little deeper, they will tell you that without being profitable, there is no mission. They understand that in order to fulfill their purpose, they need to be profitable. Committed to Service Great companies are deeply, genuinely committed to service. They couldn’t imagine doing business any other way. The iconic service companies have come to understand that if they take care of their employees, their employees will take care of their customers. In short, a great employee experience guarantees a great Customer experience. The Business Basics Are Understood By All Great companies educate their employees about the basics of the business. The business model, the part they play in the bigger picture and the expectations around service. It’s all been taught and is constantly reinforced, with very little left up to chance. Loyalty on Two Fronts Great companies cultivate loyalty among their employees and customers alike -- loyalty that is hard for competitors to steal or replicate. Customer and employee loyalty is the pot of gold at the end of the culture rainbow.